It was one evening when we left the restaurant that we stumbled upon the Georges Larnicol house on rue de Rivoli. Still open at 10pm, we took the opportunity to make some purchases to talk to you about it! With a blog name such as “Tea or Chocolate” you can imagine that the authors are great gourmands and chocolate lovers 😉 . So we saw the late opening of this chocolate maker as a sign that we had to test it to tell you about it! 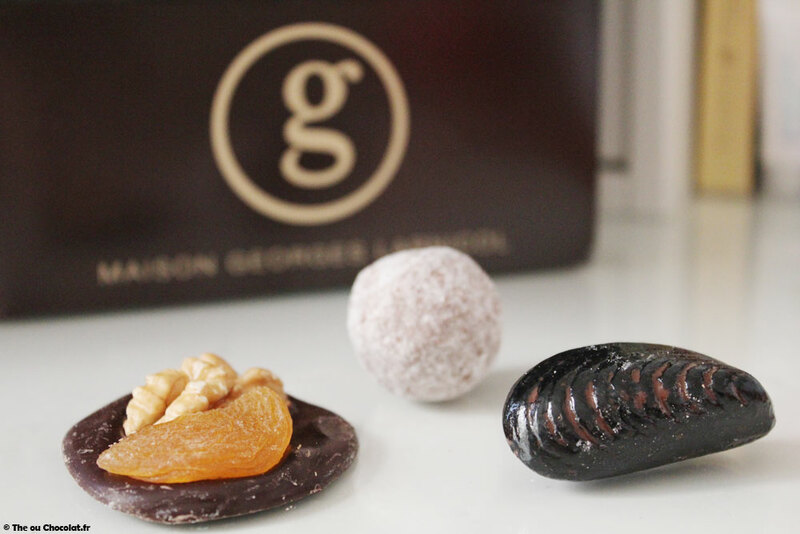 Georges Larnicol is a master chocolate maker and one of the best worker in France (called “meilleur ouvrier de France”). 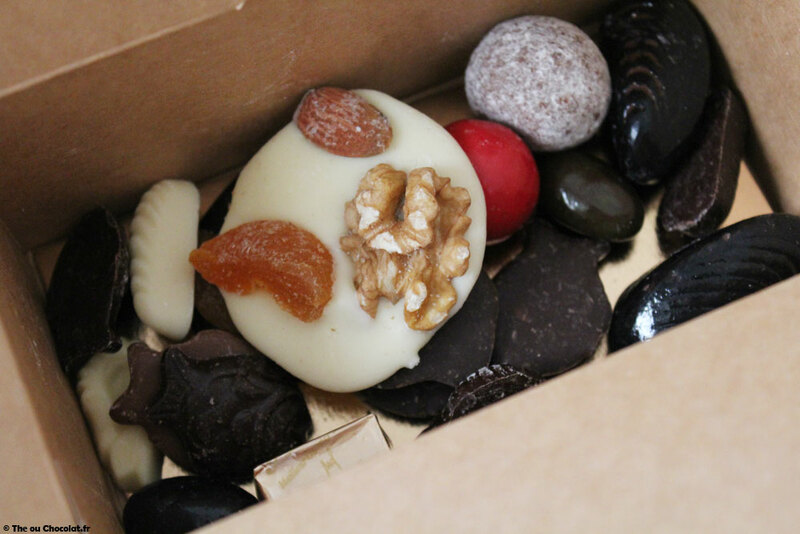 From the window and the front door, we see this mention which, I must admit, has made our mouth water… Inside, chocolate stands on display, with small boxes and bags at your disposal to help yourself. The principle is rather sympathetic and optimized: rather than waiting for long minutes for a saleswoman to be available, and making her repeat the same things as for previous customers “what is this chocolate????? and this one?”, here we are totally autonomous, with always the possibility to ask questions if necessary. My first observation was to see a price that seemed extremely low compared to my usual chocolate makers: 5€ per 100g so 50€ per kg. 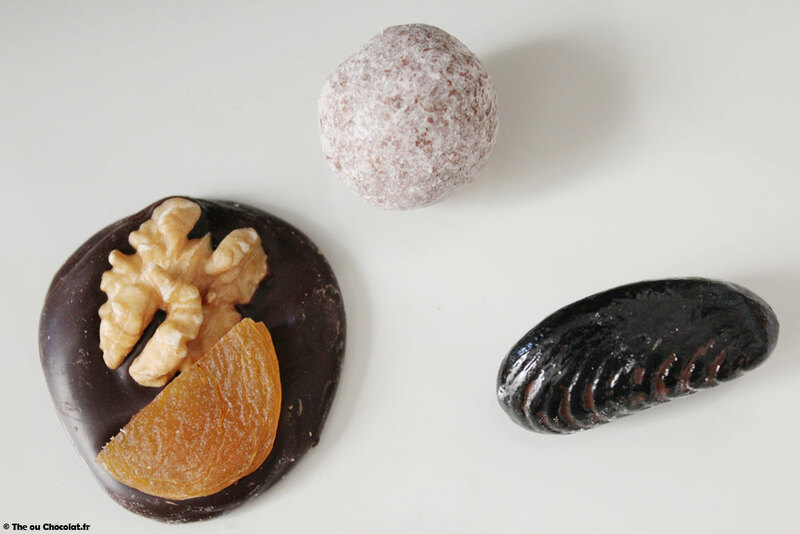 However, when you fill up your little box, you quickly realize that this low price is justified by the fact that there are very few “worked” chocolates, in the sense that the majority of the references offered are chocolate squares, fries, chocolate pucks covered with a few dried fruits… In short, chocolates that are relatively easy and quick to produce. 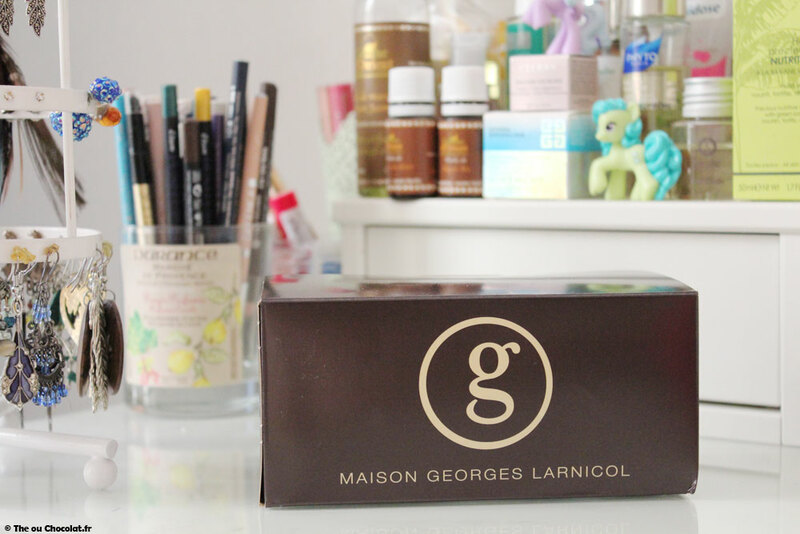 I must admit that at the time I was a little disappointed, because I really appreciate the flavour mixes and the praline chocolates with several different layers inside, for example praline and nougatine (my favourites from La Petite Friande in Reims 😉). dark or milk chocolate fries: rather disappointed, a little too thin in thickness and we didn’t like the chosen chocolates too much. Olives: very nice visually, with shades of colour like real olives ranging from green to black. The taste is also very good since they are chocolate covered almonds! Mirabelle plum caramel: a very, very soft caramel that sticks well to the teeth ^^, but with a very strong mirabelle plum taste. Not bad! Not bad! Eggs: we tested 2 versions, one with praline and the other with caramel, but I find that it lacks a little taste in the praline…. 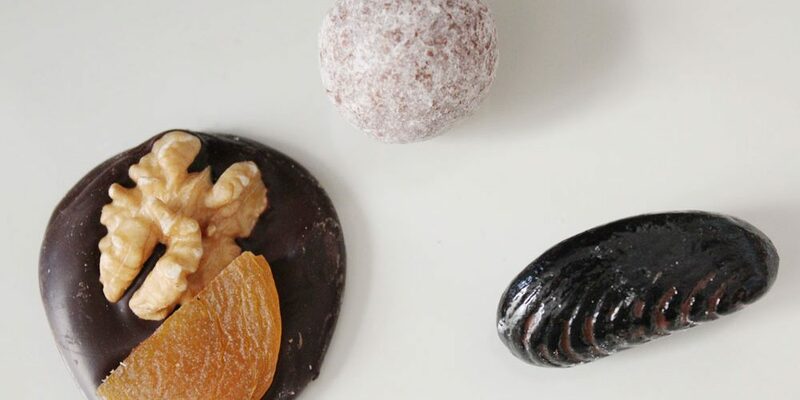 Mussels: a chocolate with a strange shape, which has a very crispy shell and contains milk chocolate and praline inside. A little disappointed by the lack of taste of the praline as above. Previous post ORGANIC WINE: What is an organic wine?